The show was honored alongside the likes of CNN, NPR, "Jeopardy," and "Game of Thrones"
Silly as it all seemed, filings showed that the Super PAC had raised more than $1 million. Stephen Colbert's late-night satirical stunts have earned his show a serious honor. 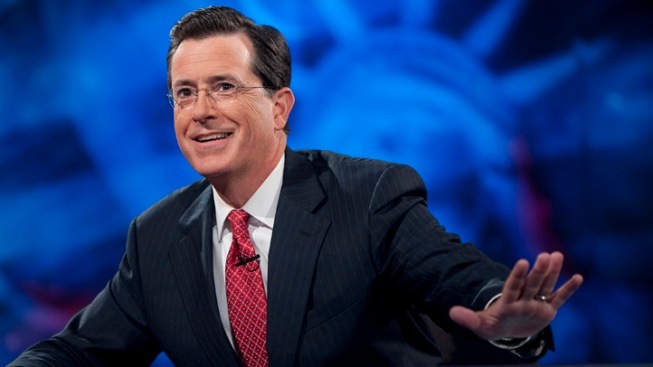 On Wednesday the Grady College of Journalism and Mass Communication announced that "The Colbert Report" would win a Peabody Award—one of the highest honors in broadcasting—for its segments on Colbert's political action committee. Colbert's intentionally absurd talk show was honored alongside the likes of CNN, NPR, "Jeopardy," and "Game of Thrones." It was the second Peabody for the program. Colbert was praised for "lampooning the rise of megabucks politics" by launching his own Super PAC, or political action committee, which has been a focal point of his show for the last year. Dubbed "Americans for a Better Tomorrow, Tomorrow," Colbert's very real, very legal political fundraising organization launched last year and blurred the lines between comedy and reality, embarrassing and offending politicians and media personalities along the way. While Colbert has said the gag is all for laughs, others see it as a giant comedic spotlight that he's shone directly on the flaws of campaign finance rules. The Super PAC and a 501(c)(4) he opened shortly thereafter paved the way for new political stunts including a series of commercials that ran in Iowa ahead of the state's straw poll and an offer to help fund South Carolina's presidential primary—an offer the state nearly accepted. Silly as it all seemed, the Super PAC-funded attack ads and political antics drew regular media buzz and inspired tens of thousands of Americans to donate to his fund. By January 2012, the Super PAC had raised more than $1 million, according to F.E.C. filings. Thirty-seven other Peabody recipients were announced alongside Colbert. The 2011 awards "for best in electronic media" will be handed out at a ceremony in May.